The View is a minimalist tiny home that measures 248 sq. 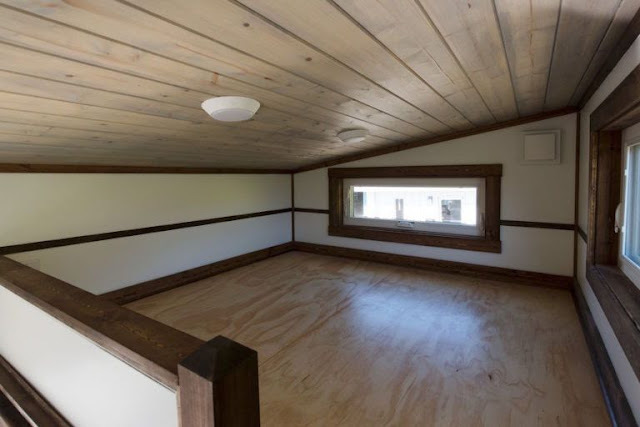 ft. and is currently for sale in Cleveland, TN. Upon walking into the home, you will see a ‘V’ staircase against the wall opposite the front door. 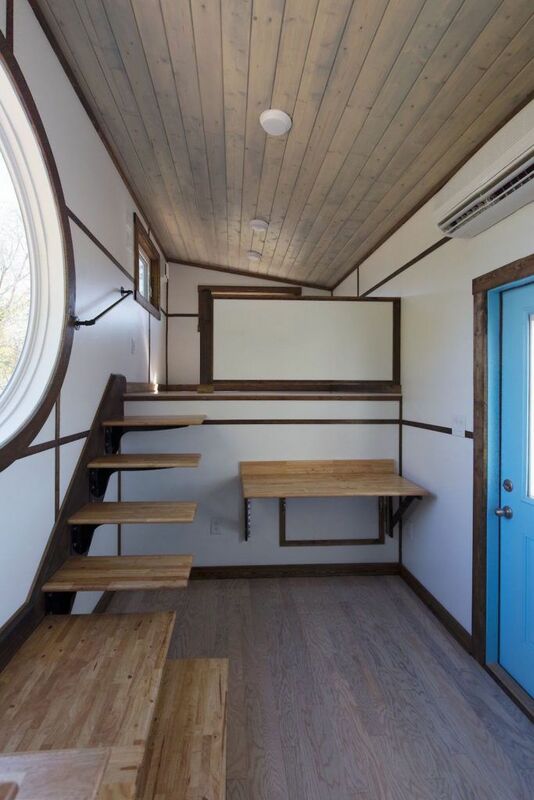 If you go up the stairs on either side, you will enter a spacious lofted area (perfect for a bedroom)! 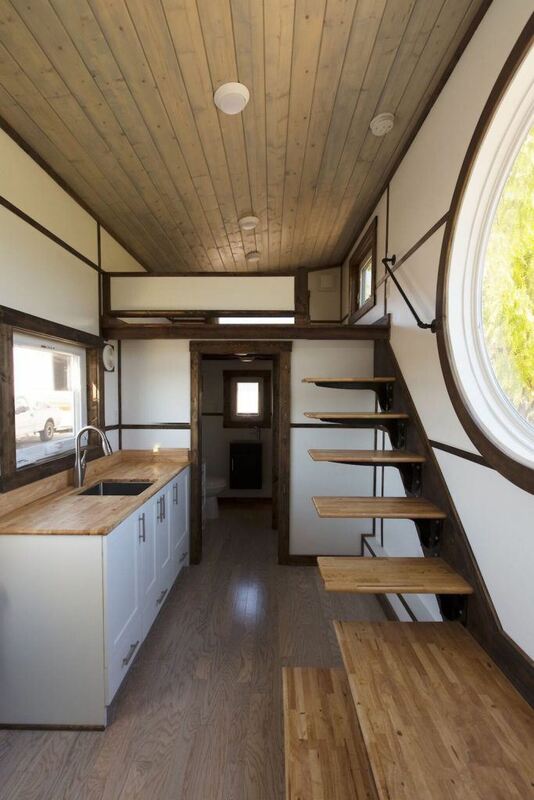 If you decide not to go up the stairs on the left side of the home, you will walk into the kitchen. 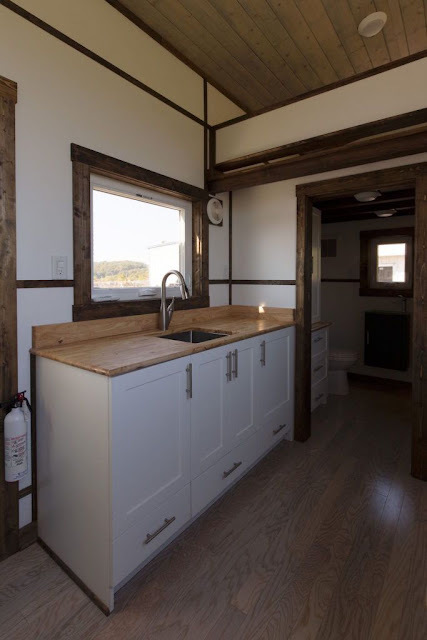 This tiny kitchen features custom white cabinets and butcher block countertops. 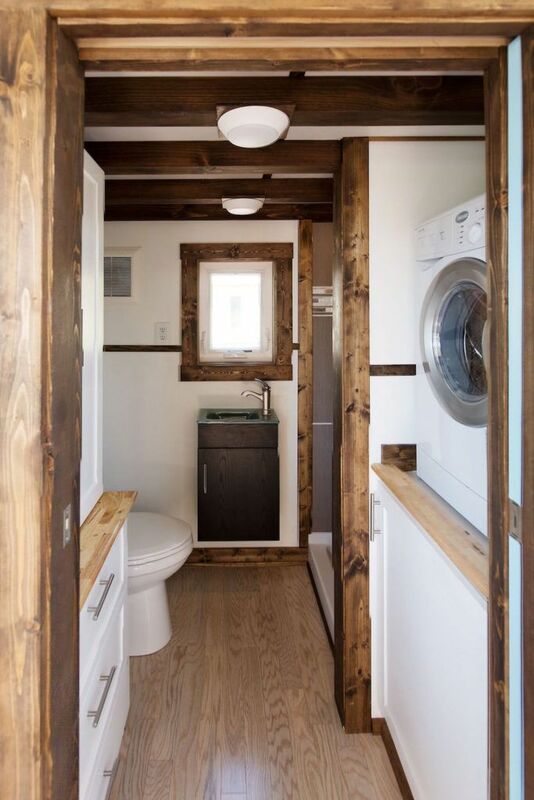 Past the kitchen is a small walkway that has a compartment (on the right-hand side) holding a combo washer/dryer unit. 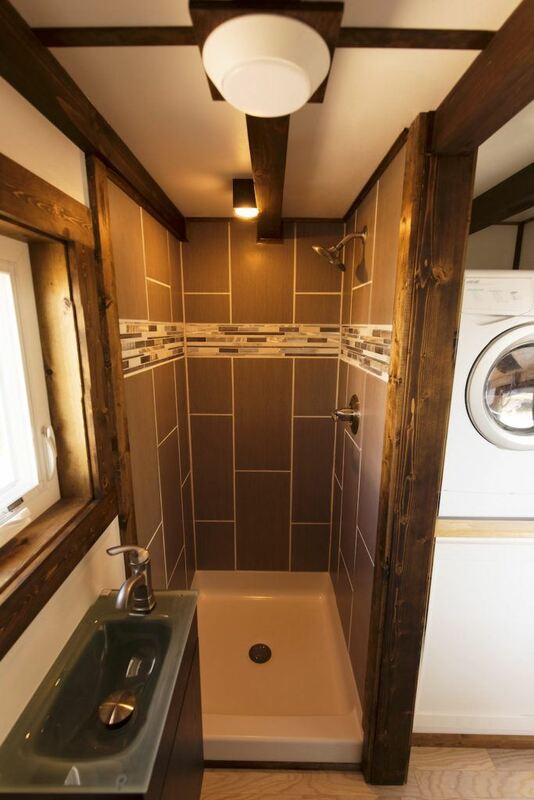 Continue through the walkway to enter the beautiful bathroom. 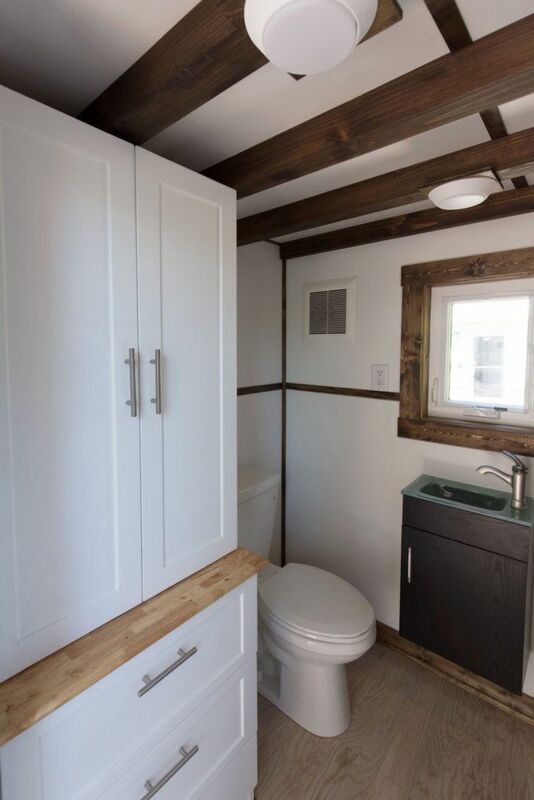 This space has a 32’’ walk-in shower, standard flush toilet, dark wood vanity, sink and custom white cabinetry (like that seen in the kitchen). 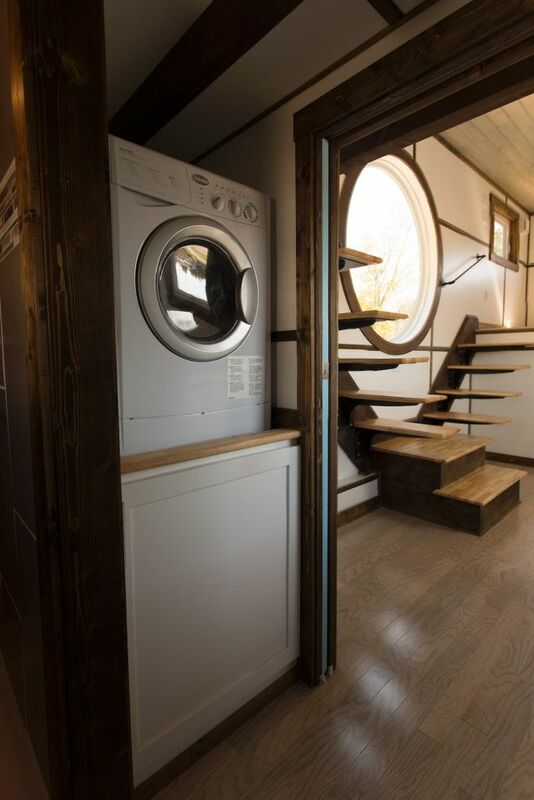 Special features of this tiny home include the big porthole window in front of the ‘V’ staircase and the office nook on the right side of the house. 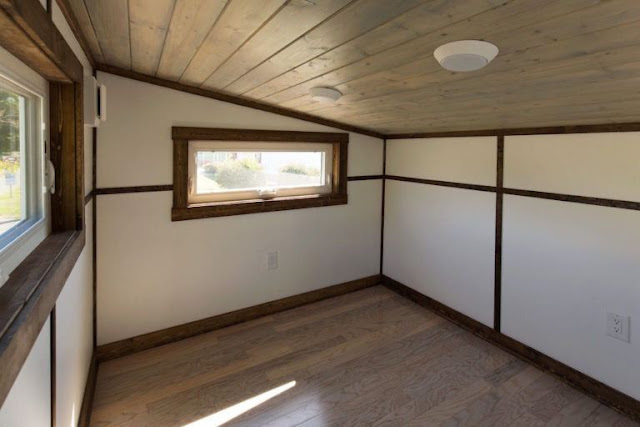 The window lets in lots of natural light allowing for productivity at the nook during the daytime. 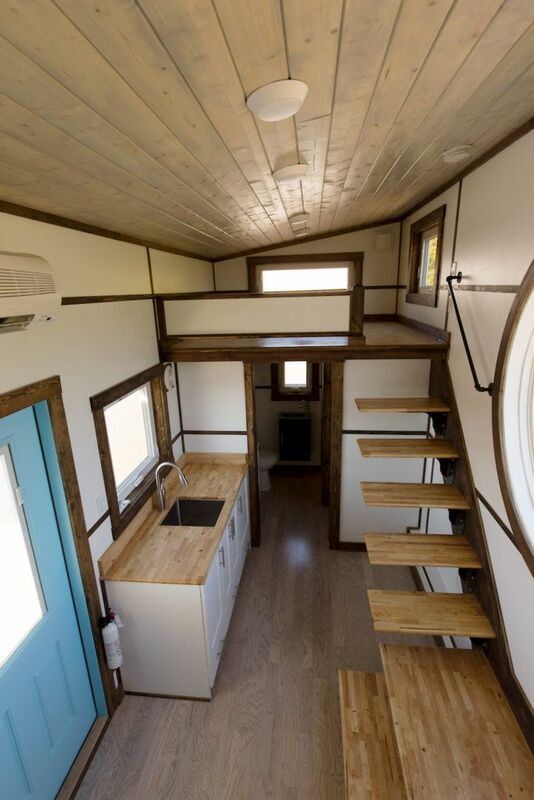 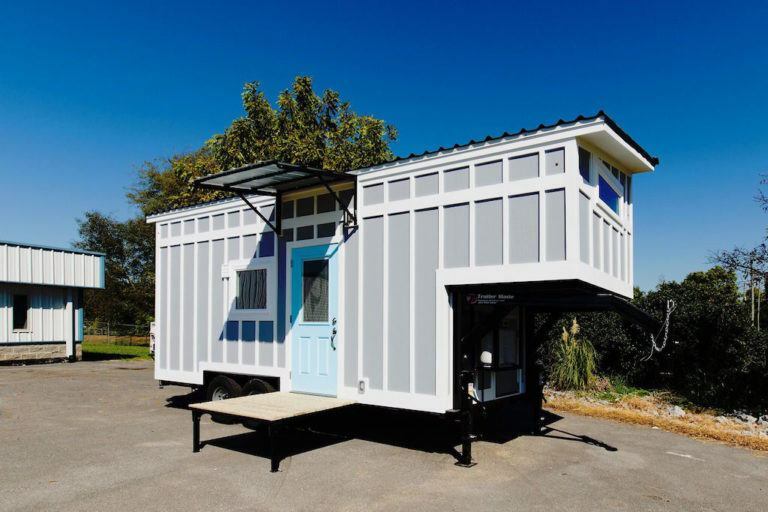 This home is designed and built by Tiny House Chattanooga and currently listed at $59,900. 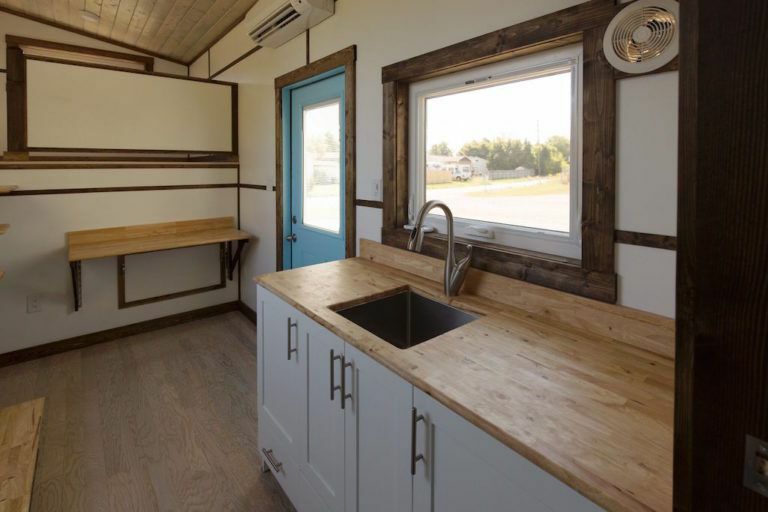 For more information on The View, visit its listing on Tiny House Listings here!